Students will see increased patrols on and around campus now that the University of Louisville Police Department is partnering with Louisville Metro Police. The agreement was announced Feb. 6 in light of recent robberies around campus this year. ULPD Chief Gary D. Lewis Jr initiated the partnership by reaching out to LMPD. The two departments already work closely with overlapping jurisdictions and work together on cases. 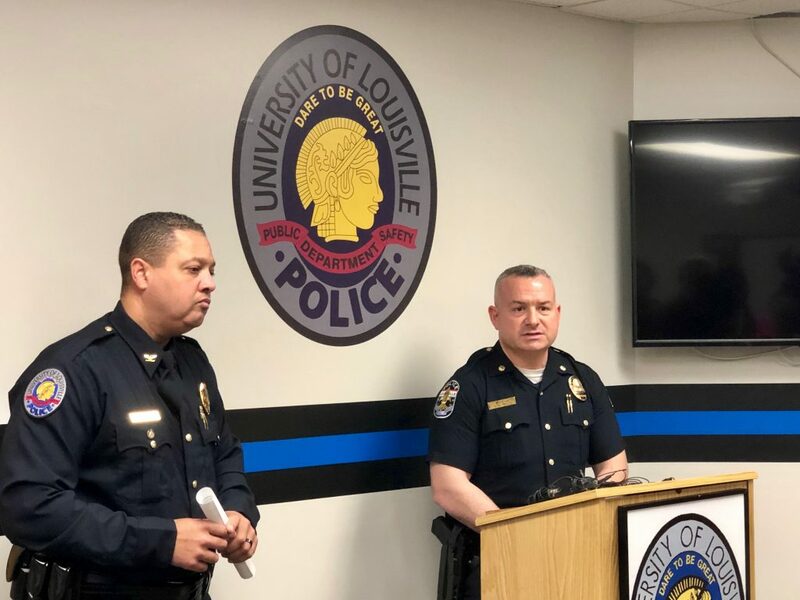 “The fourth division in particular and LMPD in general have had a long and fruitful relationship with the university police. We communicate on almost a daily basis on what is going on in areas where our jurisdictions overlap,” said Josh Judah, Commander of the fourth division of LMPD. The partnership officially launched Feb. 5, created to send a message to those who might have future thoughts to commit crime, Lewis said. It will be evaluated weekly and continue as long as necessary. The partnership’s increased patrols showed success on the second day when the departments worked together to apprehend and arrest two suspects in a drug deal gone bad at the Retreat Apartments. According to LMPD, the two suspects are Jalen Beene, 19, and James Robinson, 20. Robinson is facing the charges of robbery in the first degree, criminal trespass in the third degree, possession of marijuana, and receiving stolen property of over $500. Beene faces robbery in the first degree and criminal trespass in the third degree. It is unknown if they were involved in any other crimes around campus. “One of the things we want to make sure we do is remind students is that we are in a metropolitan area,” said Lewis. Lewis reminds students to be mindful of their surroundings, and if you see something, say something.